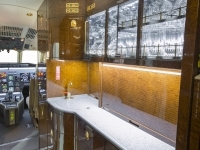 Ten passenger interior featuring a forward four-place club arrangement and an aft four place conference group opposite a two-place club. 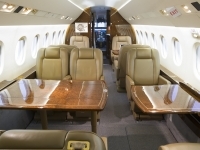 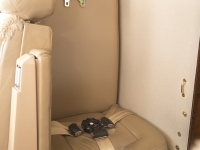 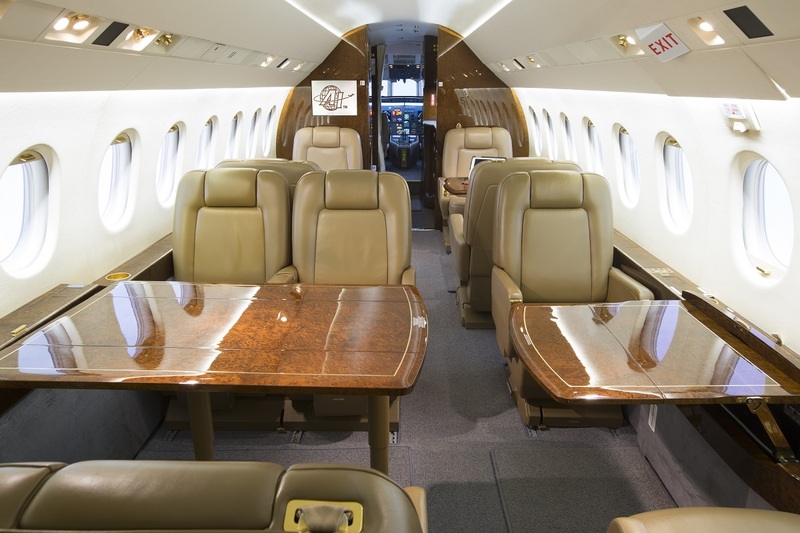 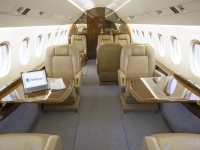 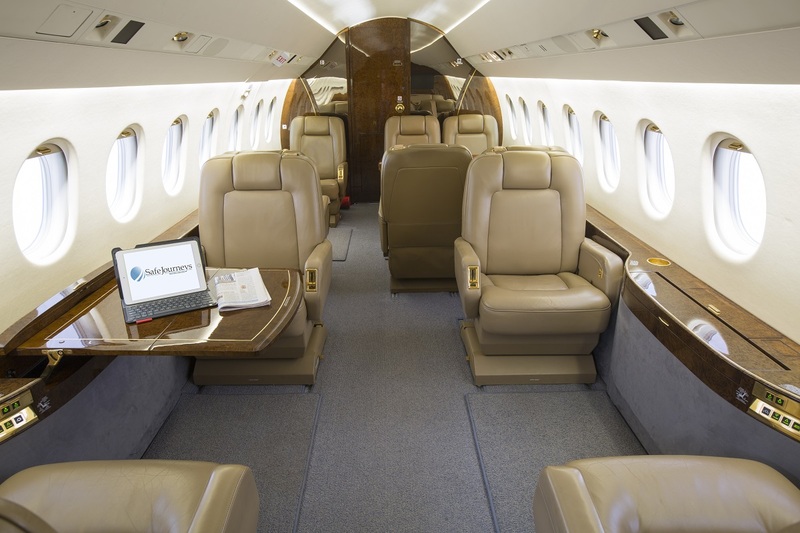 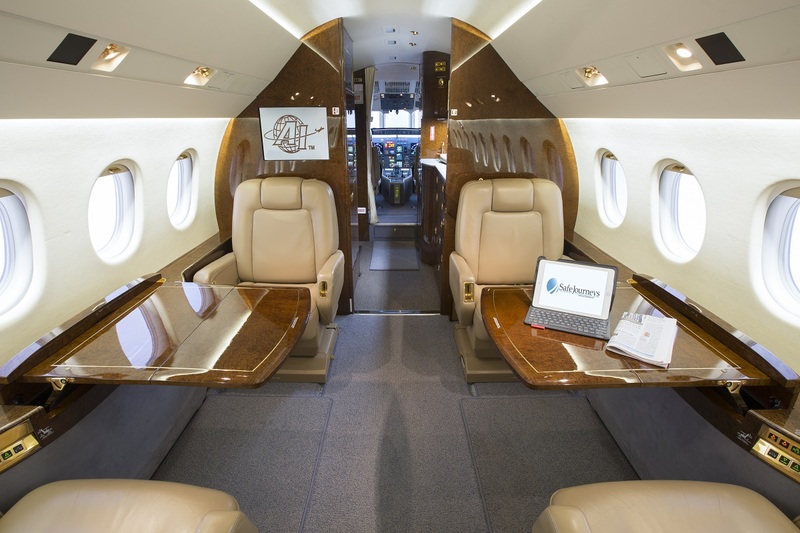 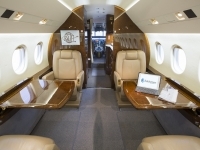 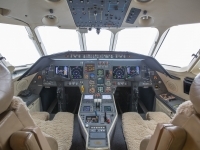 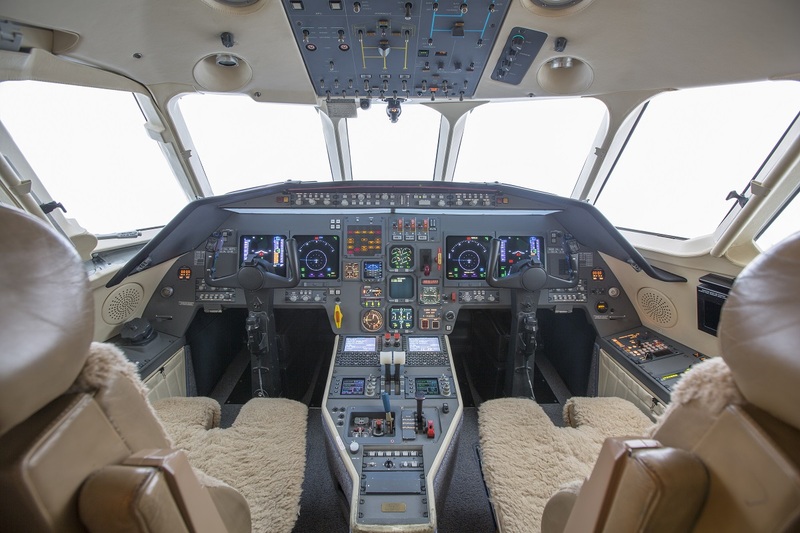 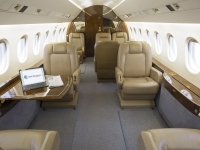 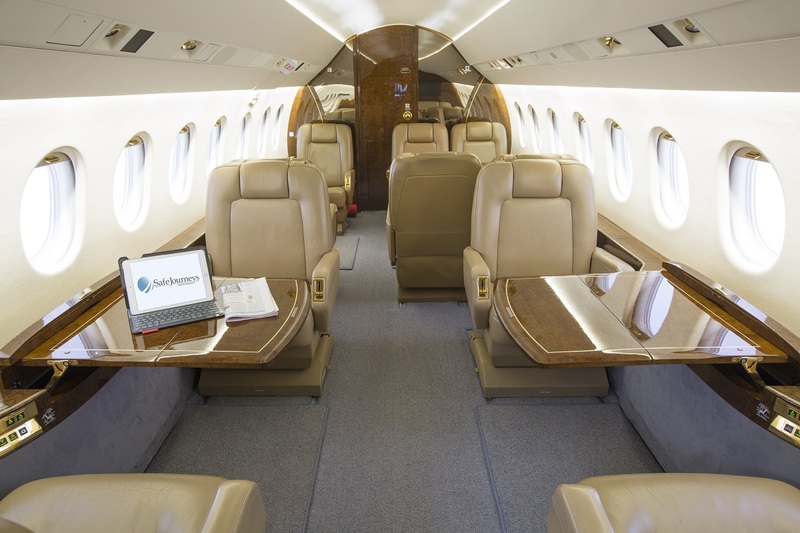 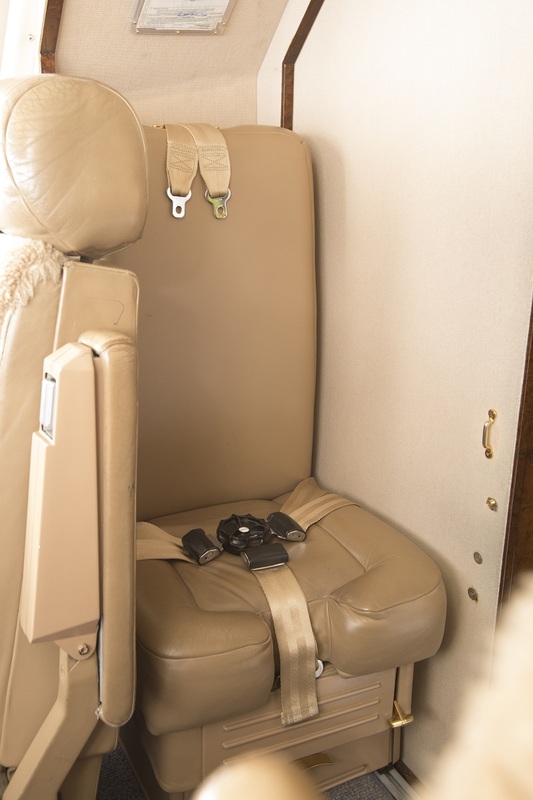 All seating in the aircraft is upholstered in tan leather, with complementary colors and materials throughout the aircraft. 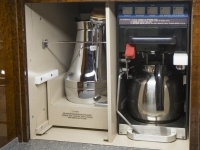 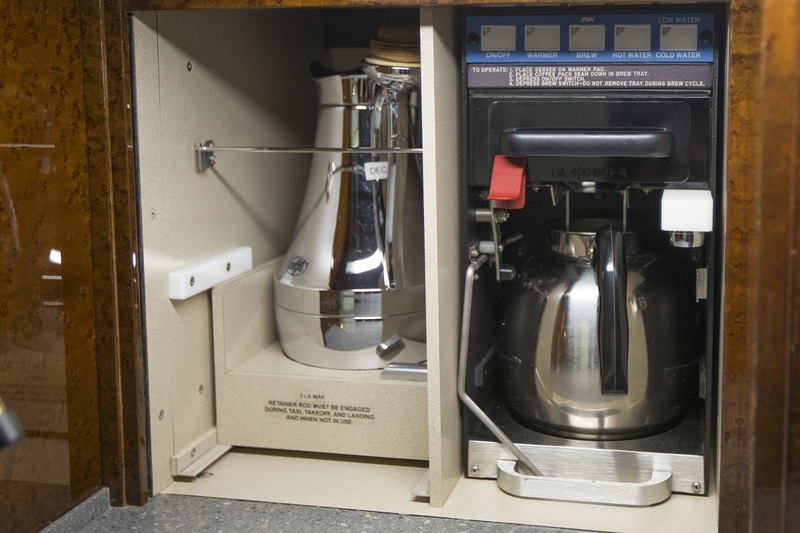 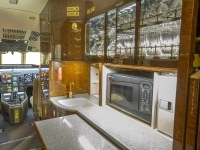 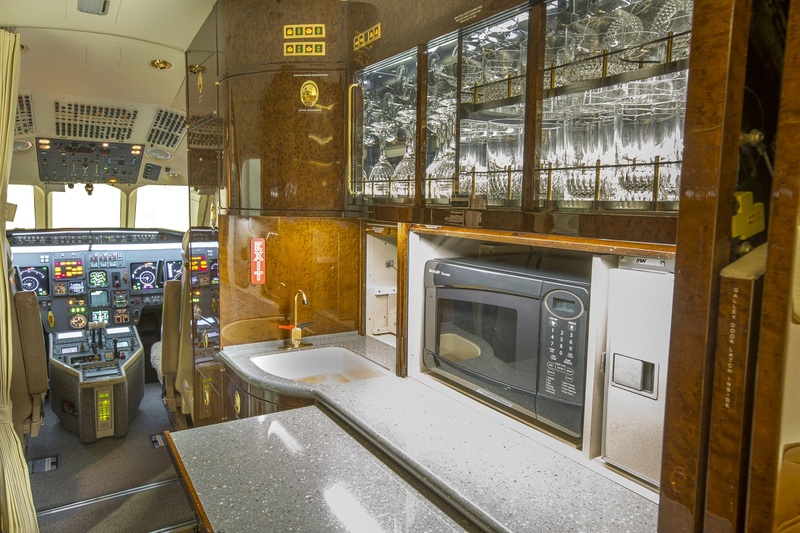 The deluxe forward refreshment center includes a microwave and a TIA oven, as well as a coffee maker, pull-out work surface and ample storage. 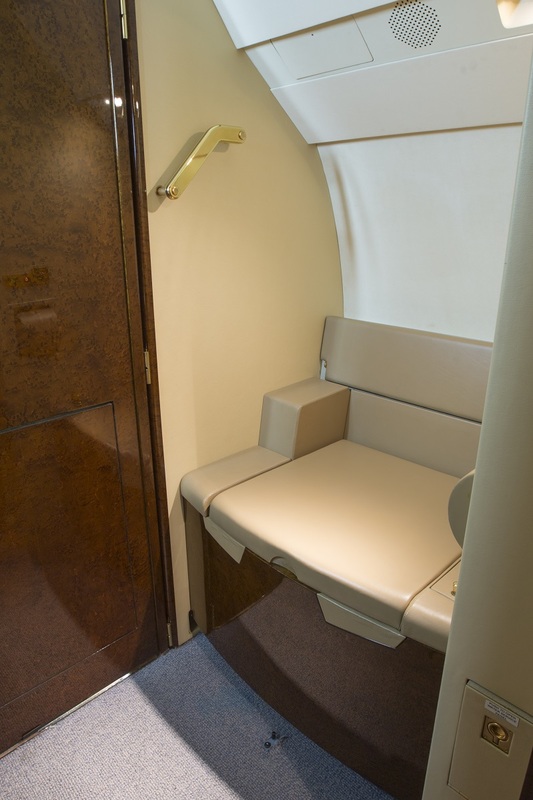 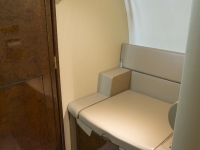 The forward cabin also houses a large closet just aft of the main entry door, and all cabin seats have work tables. 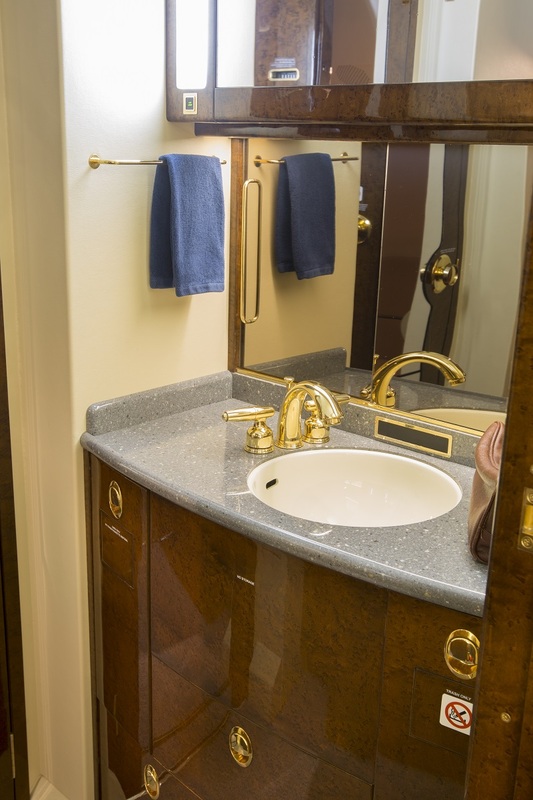 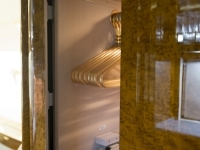 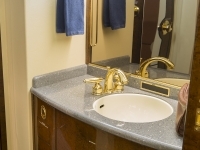 The lav area has a custom vanity installed. 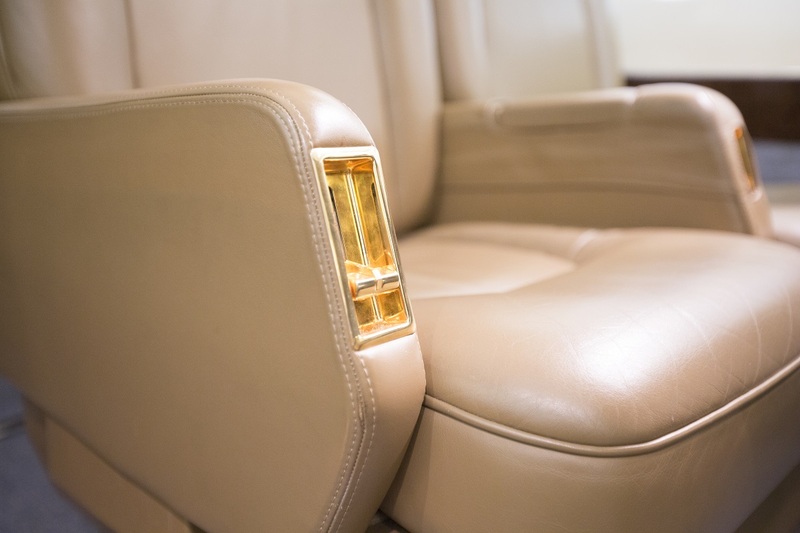 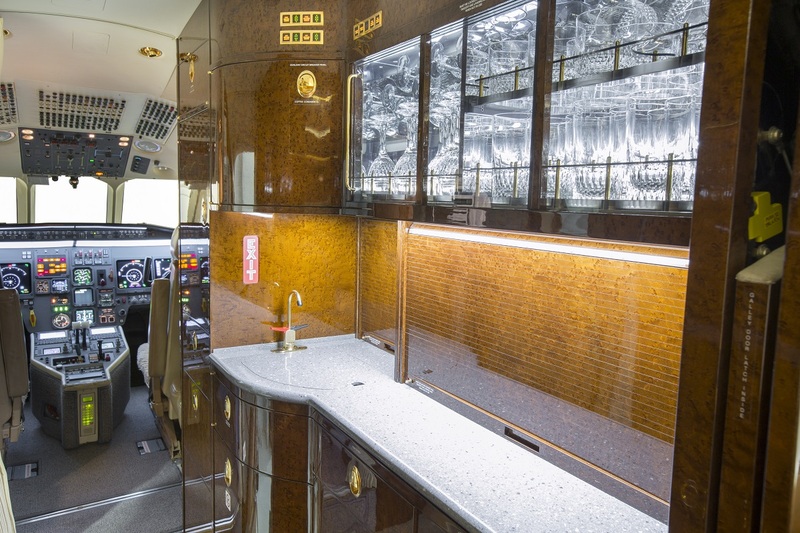 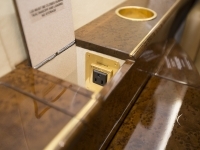 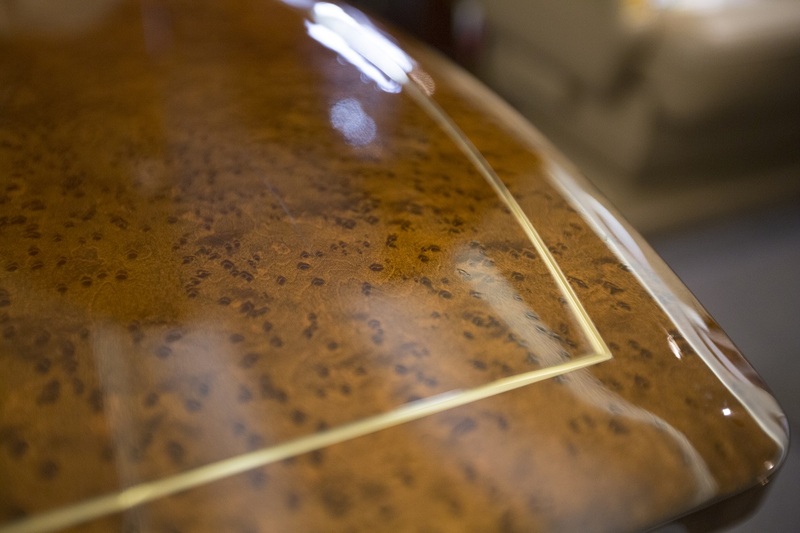 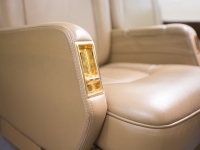 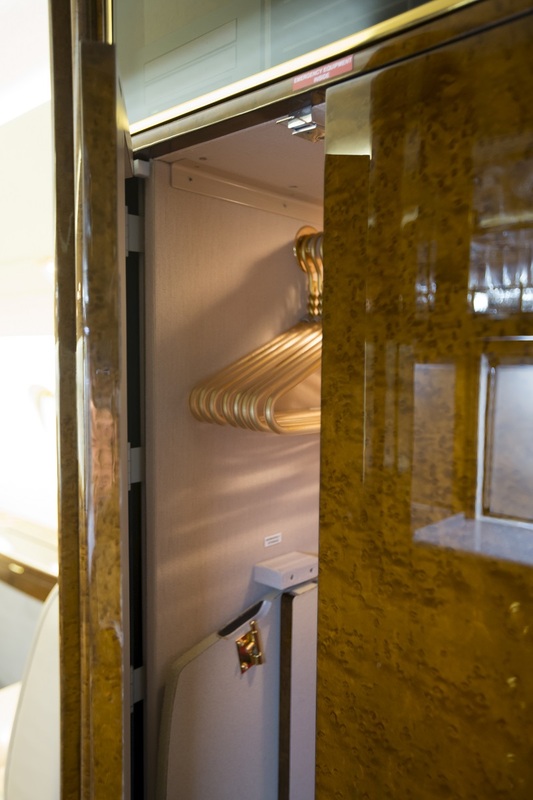 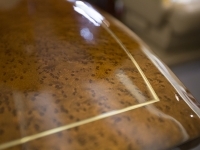 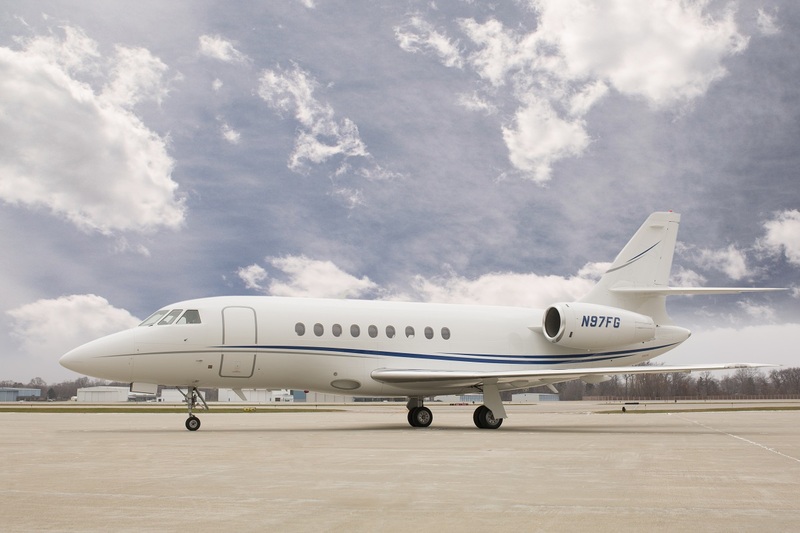 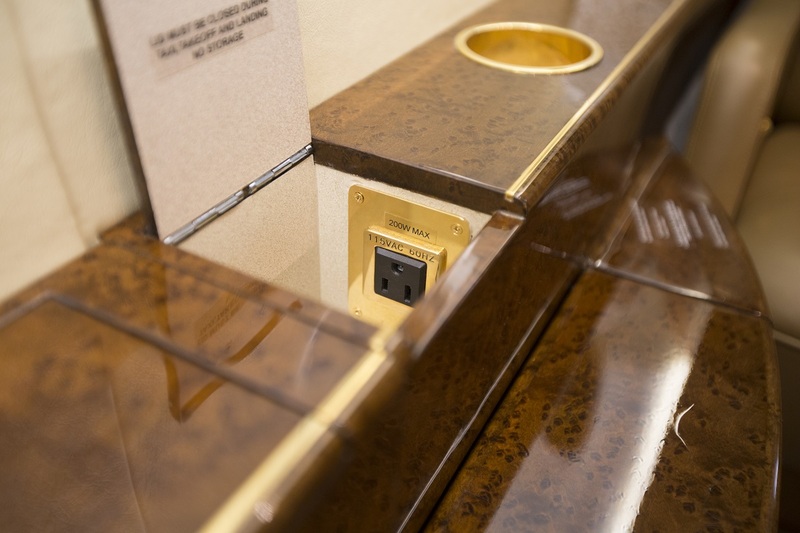 All cabinetry in the plane is sheathed with a birds-eye veneer, and metal components throughout the cabin have a polished gold-tone plating. 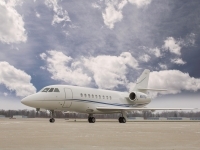 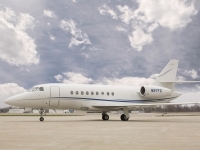 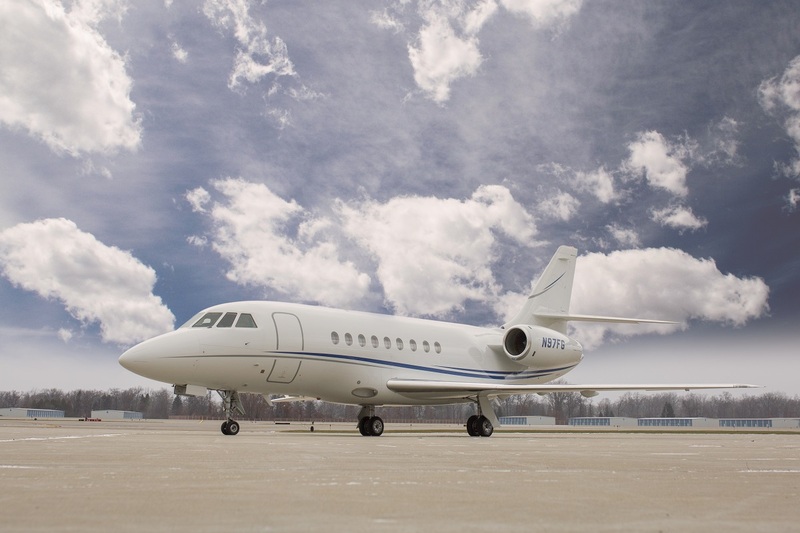 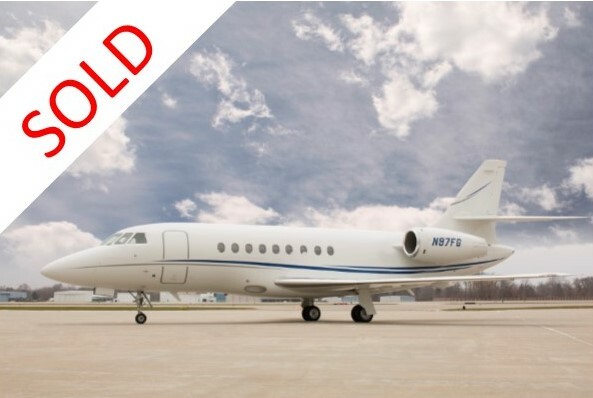 The aircraft was painted in 2012, Matterhorn white base with Navy Blue and Medium Gray trim.